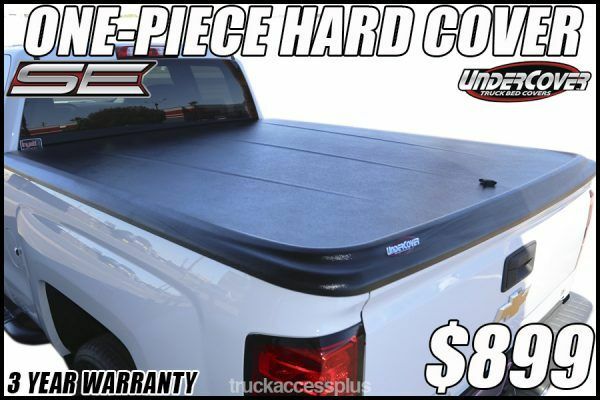 The UnderCover SE boasts all the features of the original Classic cover, but with added style lines and a rear spoiler for today’s modern truck owner. The raised ribs create an aerodynamic styling, putting this cover in a class of its own. The upgraded single point lock controls both locking hinges on the underside of the cover, providing the same security as the Classic, but with only one key point. The textured black finish is scratch resistant, durable and comes in at a weight of only 58lbs. The SE also comes in a smooth version, ready to paint in any custom color to match your truck.